C. L. Luk, Oliver H. M. Yau, Leo Yat-ming Sin, Alan Ching-biu Tse, Raymond P. M. Chow, and Jenny S. Y. Lee (2008), “The Effects of Social Capital and Organisational Innovativeness in Different Institutional Contexts,” Journal of International Business Studies, 39, 589-612. Alan Ching-biu Tse, Ka-chun Tse, Ka-ho Tse, Alan Au, and Vane-ing Tian (2007), “The Buddhist Theory of Impermanence and Marketing,” Innovative Marketing, 3(2), 19-22. Michael King-man Hui, Alan Ching-biu Tse, and Lianxi Zhou (2006), “Interaction Between Two Types of Information on Reactions to Delays,” Marketing Letters, 17, 151-162. Leo Yat-ming Sin, Alan Ching-biu Tse, Haksin Chan, Vincent Heung, and Frederick Hong-kit Yim (2006), “The Effects of Relationship Marketing Orientation on Business Performance in the Hotel Industry,” Journal of Hospitality & Tourism Research, 30(4), 407-426. Leo Yat-ming Sin, Alan Ching-biu Tse, and Frederick Hong-kit Yim (2005), “CRM: Conceptualisation and Scale Development,” European Journal of Marketing, 39(11/12), 1264-1290. Leo Yat-ming Sin, Alan Ching-biu Tse, Oliver H. M. Yau, Raymond P. M. Chow, and Jenny S. Y. Lee (2005), “Market Orientation, Relationship Marketing Orientation and Business Performance: The Moderating Effect of Economic Ideology and Industry Type,” Journal of International Marketing, 13(1), 36-57. Leo Yat-ming Sin, Alan Ching-biu Tse, Oliver H. M. Yau, Raymond P. M. Chow, and Jenny S. Y. Lee (2005), “Relationship Marketing Orientation: Scale Development and Cross-Cultural Validation,” Journal of Business Research, 58, 185-194. C. L. Luk, Oliver H. M. Yau, Alan Ching-biu Tse, Leo Yat-ming Sin, and Raymond P. M. Chow (2005), “Stakeholder Orientation and Business Performance: The Case of Services Companies,” Journal of International Marketing, 13(1), 89-110. Alan Ching-biu Tse, Leo Yat-ming Sin, Oliver H. M. Yau, Jenny S. Y. Lee, and Raymond P. M. Chow (2004), “A Firm’s Role in the Marketplace and the Relative Importance of Marketing Orientation and Relationship Marketing Orientation,” European Journal of Marketing, 38(9/10), 1158-1172. Alan Ching-biu Tse, Leo Yat-ming Sin, Oliver H. M. Yau, Jenny S. Y. Lee, and Raymond P. M. Chow (2003), “Market Orientation and Business Performance in a Chinese Business Environment,” Journal of Business Research, 56, 227-239. 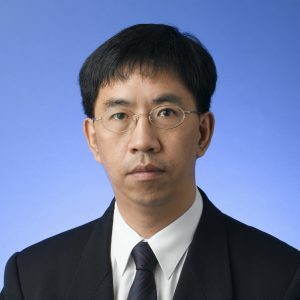 Alan Ching-biu Tse (2001), “Using Mathematical Programming to Solve Large Ranking Problems,” Journal of the Operational Research Society, 52, 1144-1150. Alan Ching-biu Tse (1999), “Factors Affecting Consumer Perceptions on Product Safety,” European Journal of Marketing, 33 (9/10), 911-925.